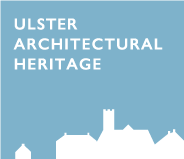 Following the successful 2018 Heritage Angel Awards and Heritage in Song, Ulster Architectural Heritage are pleased to announce that the Heritage Angel Awards 2019 will be launched on the 2nd April in Armagh and in the Old Museum Building, Belfast. Applications will also open from the 2nd of April and will close on the 31st of May. During this time, we will be running roadshows across Northern Ireland to answer questions from applicants and offer information about the awards process. If you are or know a Heritage Angel, keep up to date on our Twitter, Facebook, or sign up to our email updates to get the latest information on the awards. The next Heritage Angel awards ceremony will be taking place in Armagh on 29th October 2019.